Is Colorado's tallest living decorated Christmas tree in Kremmling, or is it in Westminster? The two towns have an ongoing debate. 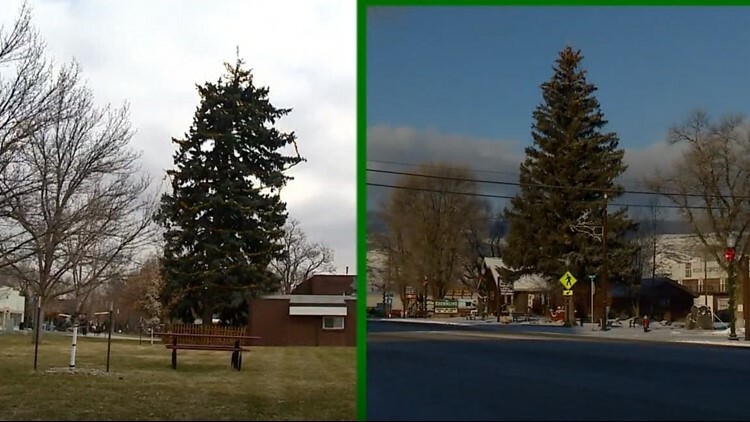 KREMMLING -- Two Colorado cities 106 miles apart have a long-running debate that reignites during the holidays: Which, in fact, really has the taller town Christmas tree? Ask Kremmling Chamber of Commerce Executive Director Tara Sharp, and she'll tell you it's definitely on the corner of 3rd Street and Park Avenue. “It’s a huge deal around here," Sharp said. "We take a lot of pride in our tallest living Christmas tree around here." But ask Westminster Historical Society President Linda Graybeal, and it's actually at the intersection of West 73rd Avenue and Bradburn Boulevard, near Westminster Fire Station No. 1. "We have this wonderful Christmas tree that certainly beats them all," Graybeal said. By that measurement, Kremmling's tree tops Westminster's by 10 inches. “Every time we would put forth our measurement, Kremmling would come out with a measurement a few inches taller,” Graybeal said. Graybeal added that the Westminster has been decorating the tree "off and on" since 1923. Sharp said Kremmling's tree is surrounded by a "winter wonderland." "We have a sleigh, we have a manger, we have reindeer in the back,” Sharp said. Both trees continue to grow -- which means the debate, all in good of course, won't end anytime soon either.